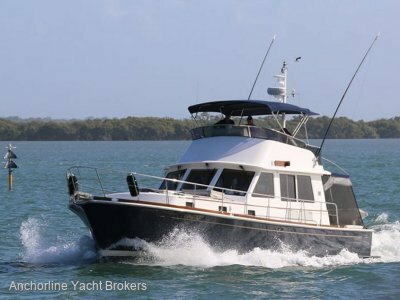 This big volume 45' flybridge motor cruiser was built in Sydney by Williams and was extensively refurbished in 2011. 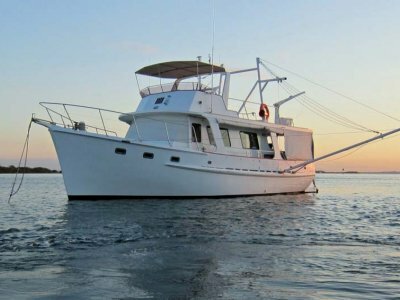 Originally named Saroka and well known around Moreton Bay, she was renamed Seahorse following her refit. 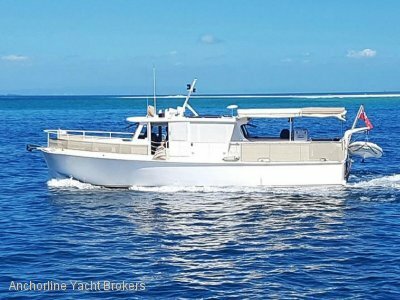 This twin screw motor cruiser is powered by a pair of 120hp Ford Lehman's and cruises economically at 8 knots. 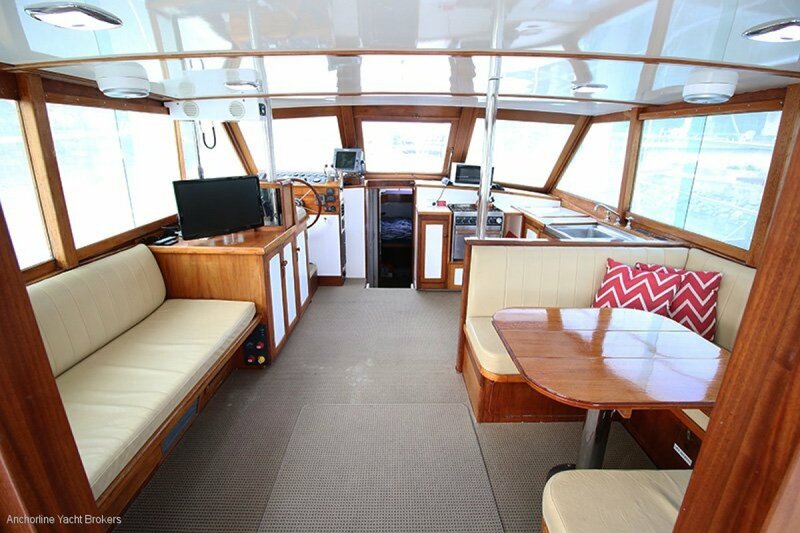 The greatest feature of the classic flybridge cruiser is her internal space with a one level saloon and aft deck, large galley and accommodation for 6 people. Seahorse has undergone extensive refurbishments since 2011. By far the most internal volume of any similar styled vessel of this length. Would suit someone wanting to go coastal cruising. 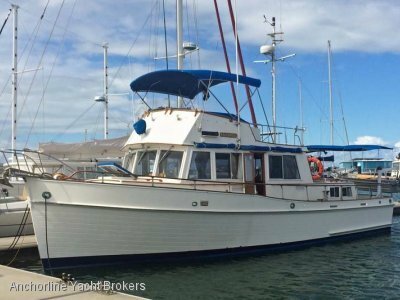 Sold by Anchorline Yacht Brokers on two previous occasions. Available for inspection in Brisbane by appointment. Contact Garth or Andrew for further details (07 5580 3377). Aft deck side curtains and covers for the cabin sides.